Have a star-spangled weekend with a suave selection of PET bowls, white and blue plates, and more! It is time to remember and revere the day when our country won its independence and freedom to love, live and enjoy life in each of our unique ways! What an awesome thing to celebrate, right? We, as always, wish to thank those who have served to preserve the freedoms we so cherish, and those who continue to do so at this very moment. You and your families are heroes! As most of us will be enjoying some sun, sparklers and fireworks in the great outdoors, why bother with the hassle of lugging heavy, fragile serving bowls and dinnerware back and forth when you can enjoy the mess-free convenience of our disposable Super Bowl + Square Serving Bowls? Easy to stack-and-store, durably pliable, and on the cutting edge of style, your salads, side-dishes and snacks will look great for the day! And when you're done, just toss them away! In medium, large and XL sizes, now your can celebrate in every size! Add a dash of white and blue to your holiday weekend with our elegant Signature Blu collection of plates and bowls! With cobalt foil and gold stamping intricately detailed along its rim, your courses will stay classy from Beef Bourguignon to barbecued ribs! Enjoy the fireworks with a cold brew of your choosing in our Pilsner or Hurricane Glasses from our Quenchers collection; which are as stunning in appearance as real glass! 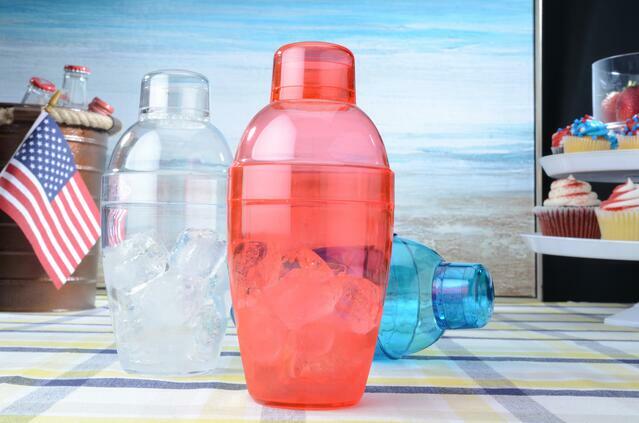 And with the durability and ease of disposable plastic, you can enjoy your sipping and sparklers without the frustration and inconvenience of traditional glassware! From pints to Piña colada, enjoy this special day of recognition and appreciation without needing to clutter your to-do list with 'clean-up'! We wish you all a very safe and happy Holiday weekend, and we’re always honored to be a part of your celebrations! Two hundred thirty-eight years ago our country celebrated the adoption of the Declaration of Independence. Our forefather, John Adams wrote to his wife Abigail on July 3rd saying, “The second day of July, 1776, will be the most memorable epoch in the history of America…” he was ‘apt to believe’ that July 2nd would be celebrated by following generations forever more as the anniversary of our infant nation. Sure, he was off by two days, but he was right on the money in regards to Independence Day becoming a holiday acknowledged by every citizen of this country for over two centuries since. John Adams also said that Independence Day should be a day celebrated with ‘pomp, and parade’ and the people of this great Nation took that idea and flew with it! Fineline Settings has been giddy to talk about this holiday because, let’s admit it… there are very few parties that are as fun as good ole Independence Day and as always, it’s our mission to help you make your upcoming celebration as spectacular as the evening fireworks show! 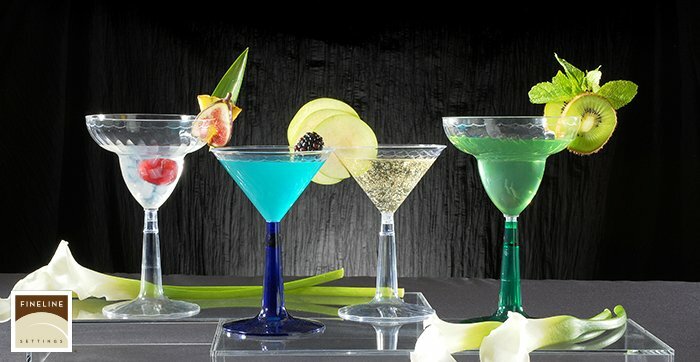 So, let’s party like it is 1776 but keep a modern twist with the luxury of premium plastic tableware! Serve up those burgers with one of our Platter Pleaser Spatulas, or on one of our Thermoform Trays; with their simplistically chic and sturdy design, your burgers will always arrive in style no matter the theme of your event! While you enjoy that corn on the cob, shake up the fun with one of our Quenchers Neon Shakers; and send your guests firing up into the sky like a firework as you pour their drink of choice into one of our Shooters, also from the Quenchers collection! With so many collections to choose from, your reputation as a party planner will be recalled for generations to come as the Thomas Jefferson of event planning; and the mark that you will leave on your guests will be as indelible as John Hancock’s on the Declaration of Independence. Now that you have your bases covered with one of our stylish and recyclable collections, let’s make this shindig a home run with the recipe and party ideas we found from a few of our blogging friends. They sent our flags flying, and we know they’ll have you saluting with style, too! Our friends over at Hostess with the Mostess gave us some fantastic ideas for our Mother’s Day celebration, and here they are again to help plan an event that would make our forefathers proud! With so many fabulous ideas to choose from, we’re letting you in on what we thought were the best! Classic Americana cannot be referenced without our minds drifting to Cracker Jack! Just saying it brings us back to an America where families spent summers at Coney Island and Baseball games. A time where every citizen celebrated being patriots every day of their lives. Hostess with the Mostess Editorial & Design Assistant, Alyssa Bernstein, helps you take your guests back to simpler time with her post idea Classic Cracker Jack Theme Party. From Decoration to menu ideas, you can’t go wrong! Traditions are just that for a reason… they work, and they make us happy enough that not only do we look back on their impact on our lives, but leave such an impression that we feel the urge to continue and carry them with us through our lives. We’re here to help you add a new tradition to your list with a blog from Maureen Anders, a Monthly Contributor to Hostess with the Mostess! 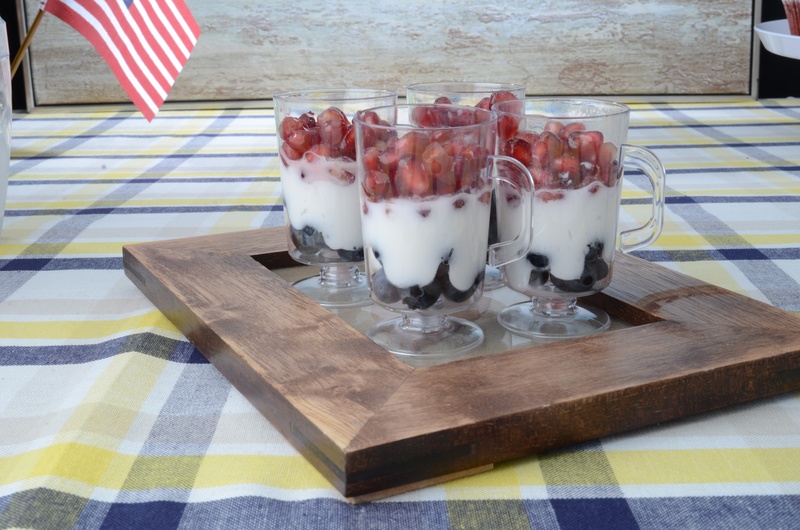 Take a look at her Classic All American 4th of July Party post that will have you seeing red, white and blue! Kids… they are our future, after all. It is up to us to encourage them to carry on the celebrations and traditions just as our parents did for us… and what better way to imprint on them than to have them help you cook up ideas that Kids activities Blog has come up with! 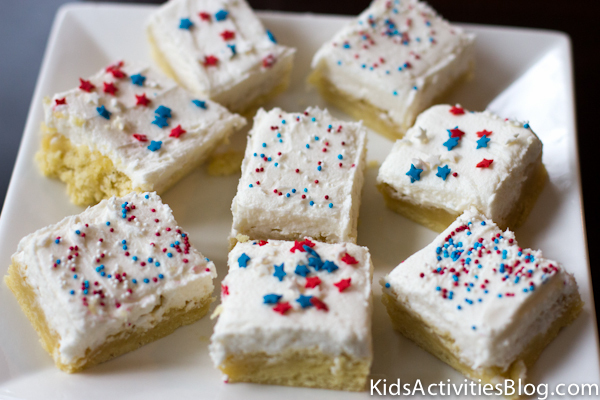 Jennifer, a mom of multiples and KaB poster, was kind enough to share her recipe for Sugar Cookie Bars. Not only are they easy, but they are absolutely unforgettable and will become a new favorite for years to come! Not to mention they look fabulous on a Platter Pleaser Cake Stand! 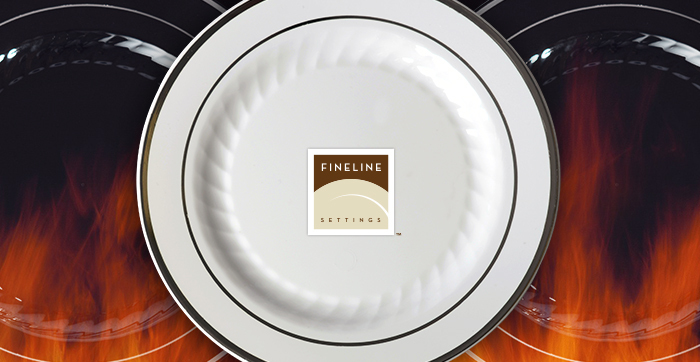 Fineline Settings will always remember what a great fortune it is that we are given the opportunity to celebrate all that is so uniquely American; and we feel honored to compliment just what it is that makes the United State so distinct… YOU! We wish you and yours the best 4th of July ever. May your buns never be soggy and may your fireworks light up the sky and your heart!